Christin has been with Colliers International since April 2017 and focuses on assisting in the sales and leasing of commercial properties in San Diego. She is responsible for maintaining marketing material, preparing agreements (leases, PSA's, LOI's, etc) and is involved in business development support. Bill Shrader joined Colliers International in 2014 after 25 years with Burnham Real Estate/Cushman & Wakefield. Mr. Shrader is the founder of Colliers’ Urban Property Group (UPG), which was created to provide urban and mixed-use owners, developers, and investors the following services: retail leasing, land and investment sales along with retail and restaurant advisory services. As team leader, his role is to offer strategic leasing support and oversight while providing clients with consultative and investment advisory services. David’s concentration is in the leasing and sales of retail and office properties in urban markets throughout San Diego County, primarily focusing on downtown San Diego and the adjacent neighborhoods, where he leads leasing efforts for the Urban Property Group. Services of the Urban Property Group include landlord and tenant representation, leasing and sales, consulting, marketing, management, and financing of street retail and mixed-use properties. 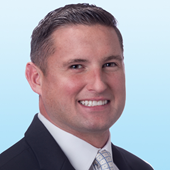 Joe Brady is a member of the Colliers Urban Property Group focusing on investment sales of infill retail, mixed-use, Multi-family, industrial, and development projects. Services of the Urban Property Group include landlord and buyer representation, leasing and sales, consulting, marketing, and valuation of mixed-use or other infill properties. With an Investment Banking and Principal Ownership background, Joe brings a unique perspective and insight to both buyers and sellers. Joe’s concentration lies in urban infill communities throughout San Diego, with a heavy focus on mixed-use projects in Downtown, Uptown, Golden Hill, North Park, and Coastal San Diego. He is a born and raised native of San Diego. Luke is a member of our Urban Property Group, joining Bill Shrader, David Maxwell, Joe Brady, and Serena Patterson. Luke focuses on leasing and investment opportunities in Central San Diego. 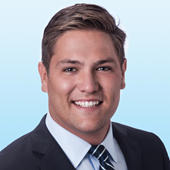 Along with his high energy, Luke brings commercial real estate experience in both sales and analytical capabilities. Luke is a 2015 graduate of University of San Diego, where he was a member of the football team. As a native San Diegan and 16-year veteran of commercial real estate, with extensive experience in retail strategy, marketing and merchandising in mixed-use developments, urban street fronts and tourist driven locations, nothing has been more exciting than seeing my own neighborhood transform block by block. I share this passion of transformative retail with our Colliers Urban Property Team members who are all focused in San Diego’s urban core and coastal communities. In order to provide owners, developers and landlords with the full range of leasing, investment and advisory services, it is imperative to understand the neighborhood dynamics. Aside from working with funny, innovative and highly-driven entrepreneurs, the team has provided me with invaluable insight, access and understanding into all aspects of leasing and valuation. As retail has changed dramatically over the last ten years, creating multidimensional communities is even more vital for long term success of owners, developers and business owners alike.